The 2016 Dean's Scholars program dinner provided major program sponsors, key industry and academic guests to network with our Deans Scholars. Students in this program are sought by industry because they think creatively, excel academically, and lead by practising what they learn. 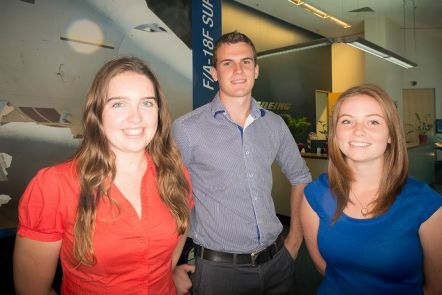 Dean's Scholars who have been offered employment with Boeing have lived up to expectations and have been a credit to the program and QUT. Your generosity can make a real impact on students' lives. It can also provide you with the advantage of early access to future high-performance employees and key research findings. As a sponsor, you'll benefit from the opportunity to connect with our most exceptional students: the future leaders of industry and government. Sponsorship also lifts the profile of your organisation, offering positive publicity and goodwill from the community. The Dean's Scholars Program is the leadership development program for high-performing students in the Science and Engineering Faculty. Industry sponsors collaborate with our academic and professional staff to develop our students' leadership skills and prepare them for industry, through program funding and opportunities for work placements and industry experience. Becoming a Dean's Scholars Program partner offers a range of benefits, from access to high-performing students, through to opportunities to connect with key professionals from academic, industry and government sectors. You can sponsor the work of a research student through a targeted research scholarship. This can support research programs investigating topics related to your business, and give you early access to key findings and new discoveries. We also offer a variety of other scholarships, bursaries and development programs to support and encourage students within our faculty. If your organisation is interested in contributing to a scholarship or setting up a fund, please contact our Industry and Engagement team. Research chairs are privately funded academic positions, and may be named after the sponsoring organisation. Funding a research chair can offer you a significant return on investment through research that results in quantifiable economic benefits, including increased efficiencies and new income streams. You can also take advantage of corporate workshops and training initiatives involving our leading researchers. For more information on funding a research chair, please contact our Industry and Engagement team. Our careers fair provides a great opportunity for you to recruit high-performing graduates, increase your brand's profile among our students, and to network with other organisations. 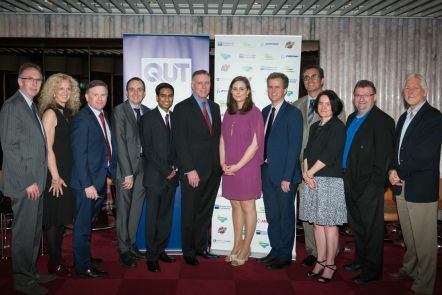 For more information about exhibiting, visit QUT Careers Fair. Become involved with the best of our current cohort by sponsoring one of our many student clubs.You can also help the next generation reach their potential through the Vice Chancellor's science, technology, engineering and mathematics (STEM) camp for high-achieving Year 11 students. To find out more about our clubs, contact our Industry and Engagement team. We welcome gifts and contributions. No matter how large or small, your gift could change the lives of both students and those in the wider community through improved teaching and research.